O. Louis Guglielmi was born in Cairo, Egypt to parents of Italian descent. The family moved to New York in 1914 and settled in the Italian neighborhood of Harlem, where they lived in a tenement under poor conditions. His early exposure to poverty and struggle helped to shape his artistic voice. During high school he attended evening classes at the National Academy of Design and took sculpture classes at the Beaux-Arts Institute of Design. Guglielmi cited the year 1932 as the start of his career, which also marked the beginning of his involvement in the MacDowell Colony in Peterborough, New Hampshire. The idyllic and secluded country retreat allowed him a space to freely explore nature and focus on his paintings. Guglielmi credited the colony with his development as an artist, which increasingly centered on social and political causes that plagued the country during the Depression. Guglielmi’s paintings from the early 1930s are amongst the earliest examples of a style known as Social Surrealism, or Magic Realism. 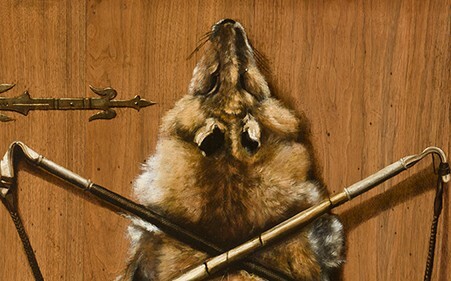 Influenced by the works of European Surrealists, especially Giorgio de Chirico and René Magritte, Guglielmi painted the gritty reality of the Depression using a style that combined realistic scenes with bizarre and dream-like imagery. Persistent Sea No. 1 was painted in 1934 at the MacDowell Colony and on Cape Cod. 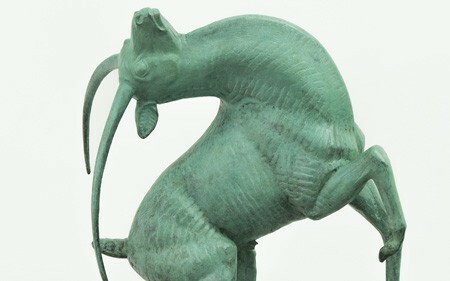 The date marked a critical year for the artist’s development and also began a period of success as he exhibited more regularly in New York. 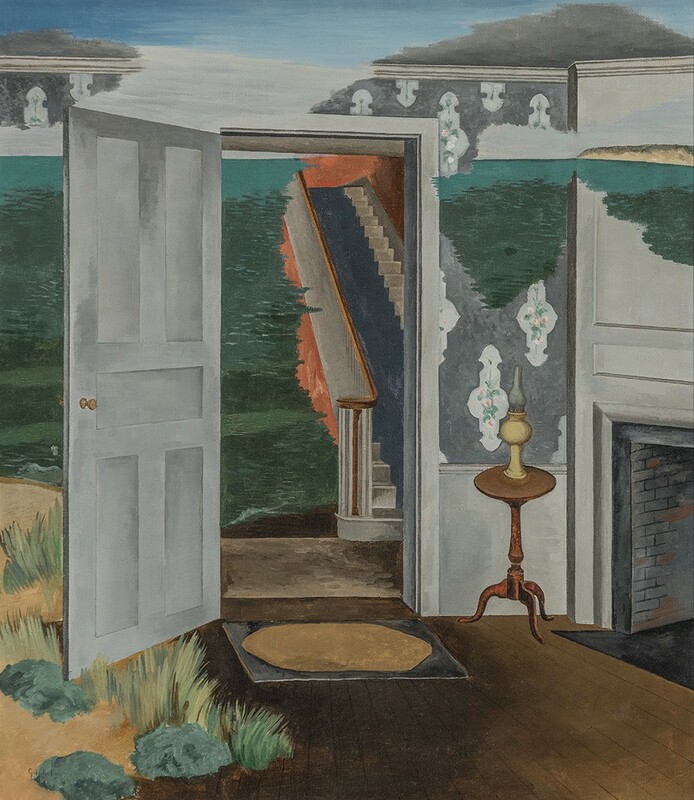 The painting depicts the entryway of a New England home with colonial furnishings typical of the 1930s. The doorway opens to reveal an eerie scene of a carpeted stairway surrounded by a vast sea. 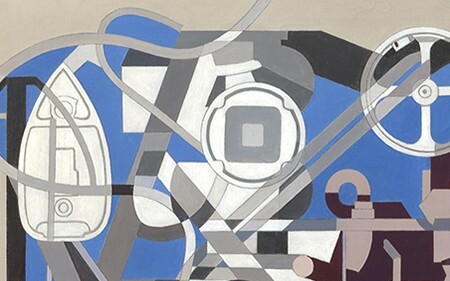 The wallpaper and walls gradually fade to reveal water, imagery which may suggest Guglielmi’s view of the erosion of American culture and values during the Depression.